The Witcher 3: Wild Hunt had the biggest UK release of the year so far, crashing Battlefield Hardline’s week one sales by 53 per cent. 63% of physical sales were on the PlayStation 4, followed by 32% on the Xbox One and 5% on PC. The majority of PC sales were digital though. The rest of the chart includes Farming Simulator 15 at number 2, GTA V at number 3 and Fifa 14 and Project CARS at numbers 4 and 5 respectively. GTA V sales have surpassed the 5m UK milestone. The Witcher 3 Hunter’s Config is a great tool granting easy access to graphical options. 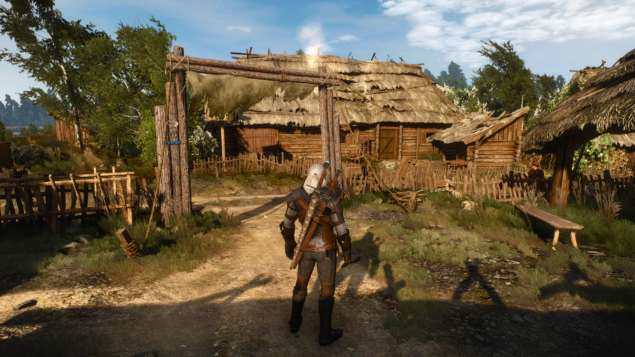 The grass quality in The Witcher 3, as well as the performance, can be improved by a few adjustment sin the ini files. AMD has made available a workaround on how to run HairWorks on AMD GPUs without crippling performance, which enables AMD GPU users to enkoy The Witcher 3 with HairWorks enabled. You can check out some beautiful 4K screenshots of the PC version as well as some 4K gameplay footage, both of which demonstrate just how great The Witcher 3: Wild Hunt can look.